George’s Shell is a quickly growing business with a number of great opportunities! We are always seeking great candidates for our Food Mart, Service Bays and Office staff. If you are a superstar employee, then apply at George’s Shell today! George’s Shell is a Great Place to Work! 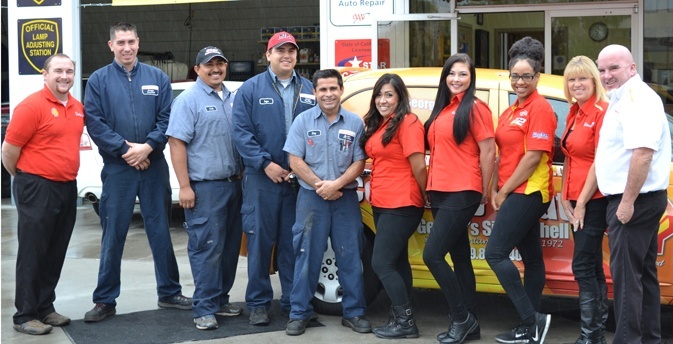 George’s Shell has proudly served the city of Fontana, CA for over 42 Years! Recently, George’s Shell has received national recognition by being named one of Motor Age Magazine’s and the Automotive Training Institute’s Top 10 Shops in the nation in 2013! We offer a flexible work schedule, an instructive work environment and many benefits for our employees. Be Organized and Committed in your work, a Problem Solver! Must have a great personality - We provide sales and automotive training!